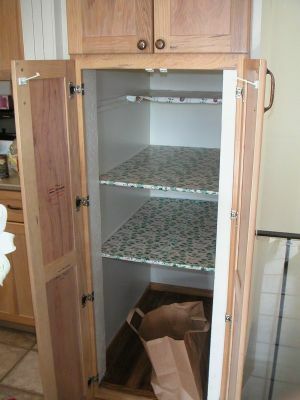 Here are some custom cabinet and storage solutions. Click here for custom TV cabinets. 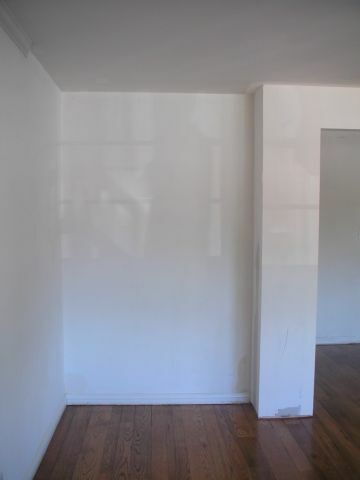 This was an odd space where the architect didn't plan well for the head room on the staircase. They had to do a bump out in order to meet code for the staircase below. 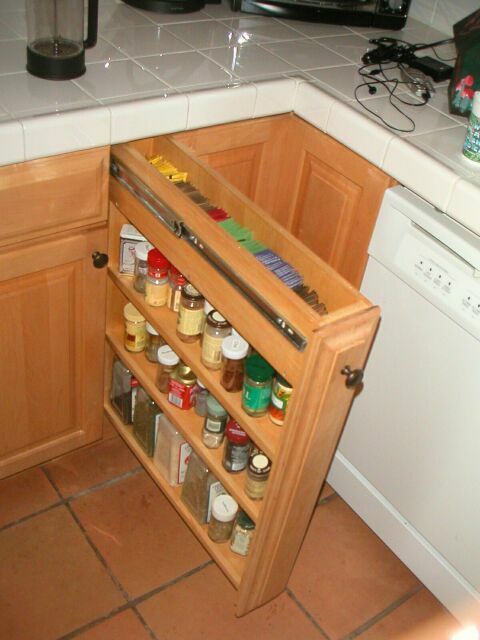 The built-in cabinet was designed to hide the bump out behind closed doors. The cabinet was designed to house the photo collection and photo equipment. The small drawers are designed for DVDs and fit 15 DVDs per drawer. 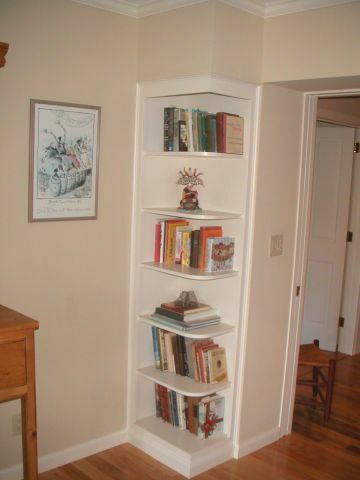 The bookshelves are adjustable to allow for varying height books. 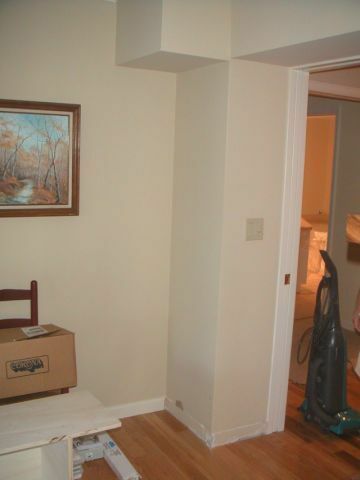 This nook was left as part of a remodel that was designed to open up a dining room. 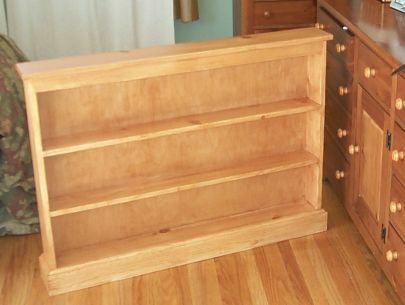 This custom cabinet fills the space and adds much needed storage for books and toys. 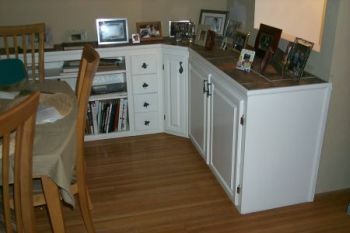 This was an odd corner space that was perfect for a small custom cabinet. 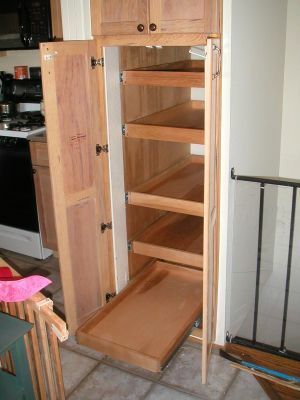 This long narrow kitchen cabinet provided a lot of storage space that was difficult use because pantry items became lost in the back of the cabinet. 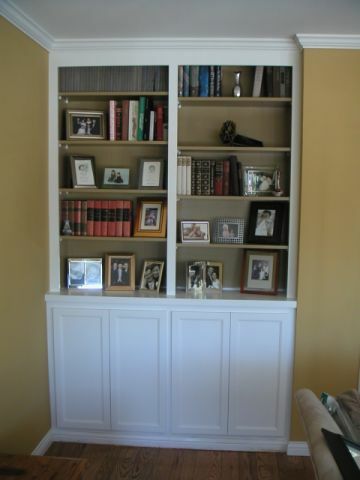 By creating a new cabinet interior, with pull out shelves, the useful storage space was dramatically increased. These custom cabinets were created for a nursery school. 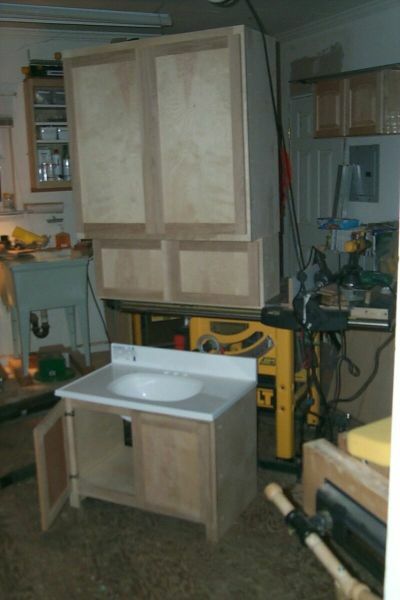 They needed a tot-high sink, with plenty of storage on top that only the adults could reach. Most stock video/DVD cabinets either don't fit the space desired or don't work with the room decor. 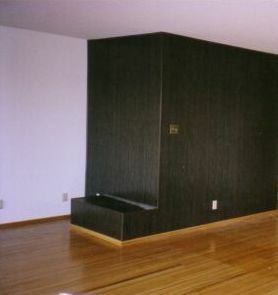 This custom cabinet was designed for a specific space in a child's room and finished to match the rest of the furniture. The space below this stovetop was not very usable. There was a false drawer front and a deep cabinet underneath. The drawer, being below a stovetop, needed to be made of inflammable materials. 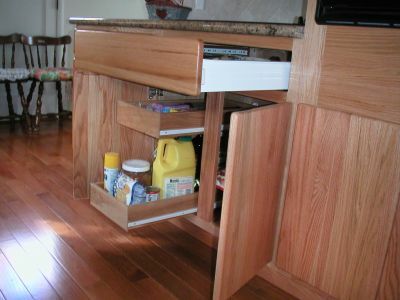 Pull-out drawers were added to just half of the cabinet to maximize flexibility in storing items of varying height. 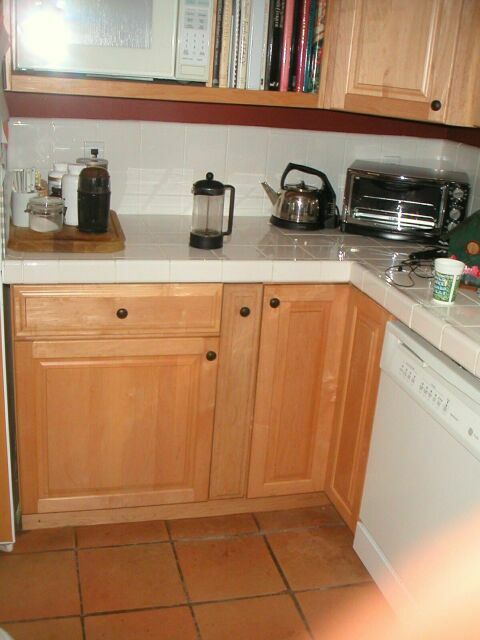 It made sense to use off-the-shelf cabinets in this large kitchen. 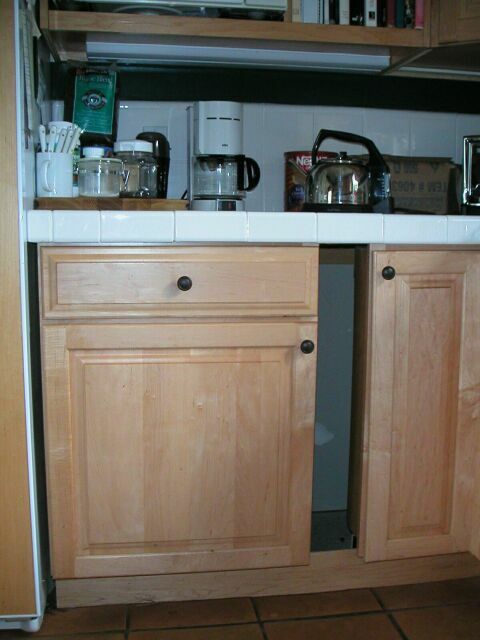 But instead of using fillers between the cabinets where there were spaces, we created some convenient custom cabinets. This one was a combination of a spice rack and tea holder.